BOIL eggs 10 minutes. Peel and cut in half lengthwise. Discard 6 yolks. 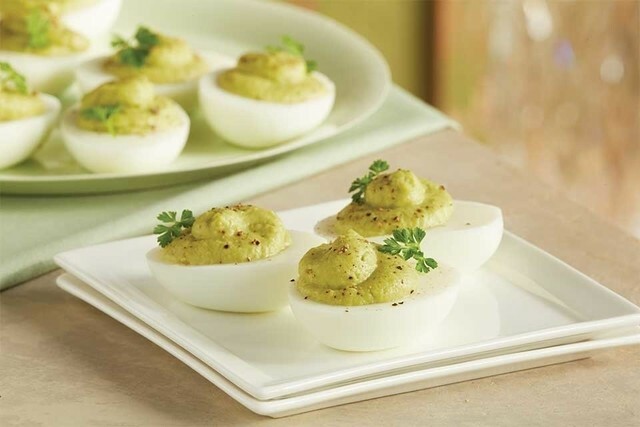 PLACE remaining 6 egg yolks in a blender or food processor with peas, avocado, mayonnaise, sugar, vinegar and mustard. Puree until smooth. Season to taste with salt and pepper, if desired.